Non-stock item. Available by custom order only. Pssst! 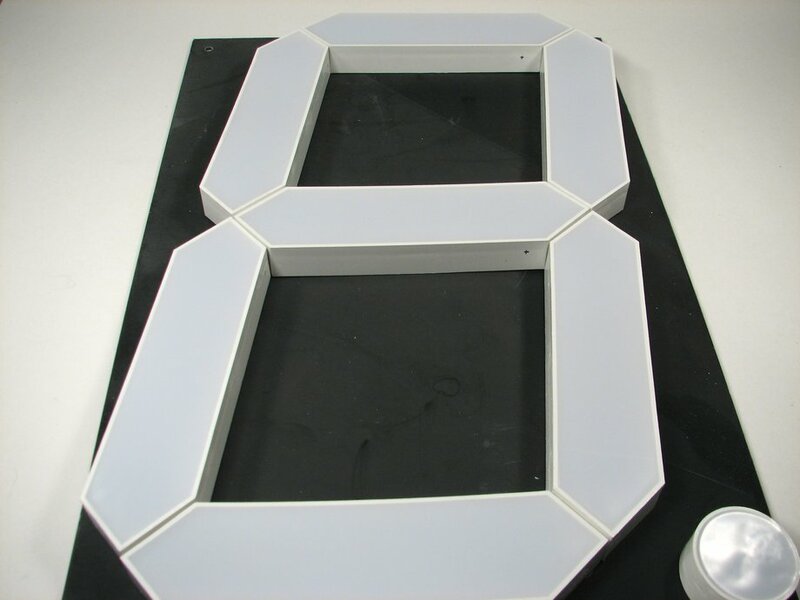 Wanna buy a gargantuan seven-segment single-digit LED display? 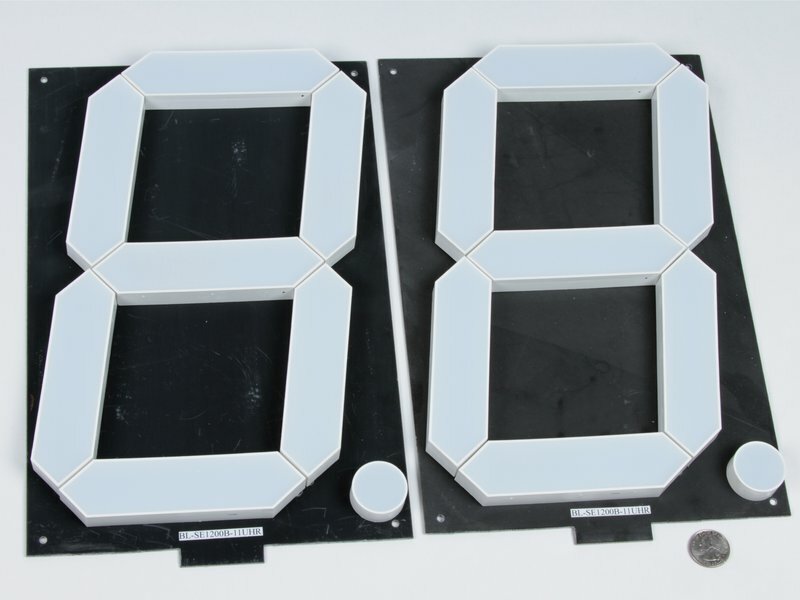 Since we've been playing with 12 inch 7-segment displays, people keep asking where to get them. So... we got some! 7 big fat segments on a circuit board plus a decimal point. Monstrous 12 inch digit height, just in case your neighbor needs to be able to read your wall clock. Ultrabright red, just in case you are building an alarm clock that wakes you up merely by blinking at you. Each of the seven segments has 15 LEDs in series, four times in parallel for a total of 60 LEDs. The decimal point has five LEDs in series, three times in parallel for a total of 15 LEDs. (That's a grand total of 435 LEDs per digit.) Very bright, but recommended for indoor use. Please note that there have been some PCB changes since these photos were taken. 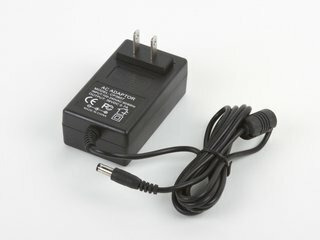 The spacing on the bottom connector pads is slightly different and the traces are generally masked instead of bare. 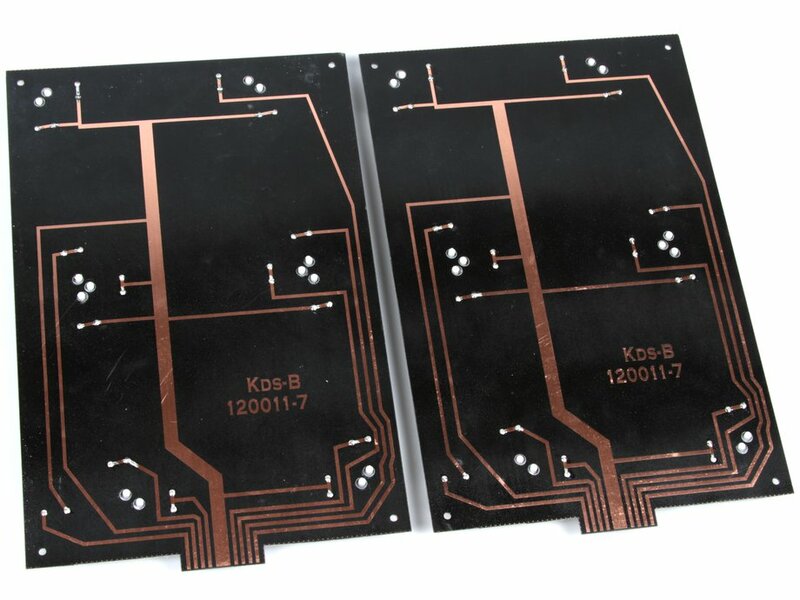 The edge connectors may also be coated instead of bare copper. Brand new and RoHS compliant (lead free).